Our company is one of the leading Manufacturers and Exporters of Insulated Gate Bipolar Transistors. These Insulated Gate Bipolar Transistors are capable of creating an electrical connection optimally to earth with a large conductive surface. 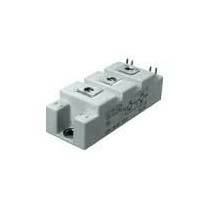 We are offer Insulated Gate Bipolar Transistors at market leading prices. Buyers can purchase them in bulk and expect timely delivery. More Information : An insulated-gate bipolar transistor (IGBT) is a three-terminal power semiconductor device primarily used as an electronic switch which, as it was developed, came to combine high efficiency and fast switching. We Deals in all type of IGBTs used in Induction Heaters and Welding Machine, Electroplating Rectifiers and CNC Machines, from all leading Manufacturers like Infenion, Eupac, Fuji, semikron etc. Diodes, Bridge Rectifiers and Electronics components.